How to sync Spotify playlists to iPod Shuffle? The iPod Shuffle has two main appeals: price and size. It is among the most affordable things you can buy with an Apple logo on it. Apple has also made the newest iPad Shuffle smaller, a feature sure to please exercisers. The 4th generation Shuffle is just a bit larger than a U.S. quarter. Exercisers will especially appreciate the size and weight because, even when clipped to a loose piece of clothing, the Shuffle barely bounces or moves. Many of Spotify users prefer to copy Spotify songs to iPad Shuffle rather than carrying a heavy smartphone during exercise. However, when you sync Spotify playlists to iPod Shuffle you will receive the warning message - “Only local files synced”. iPod Shuffle supports to play MP3 files, AAC files, iTunes audios, Audible and WAV files. But it doesn’t support to play Spotify music OGG format. Also, Spotify music are protected by DRM, you are not allowed to play them without Spotify app. So to play the Spotify music on iPod Shuffle, you need remove the Spotify DRM and convert it to the iPod Shuffle supported formats. 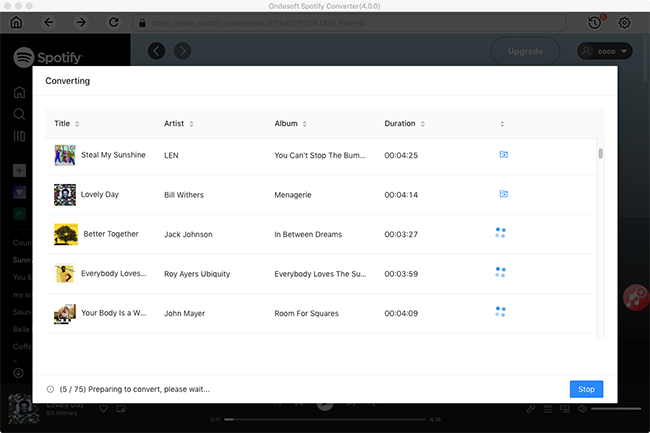 Ondesoft Spotify Music Converter is famous for removing Spotify DRM and converting Spotify music to DRM-free formats like MP3, M4A, WAV and FLAC without quality loss. 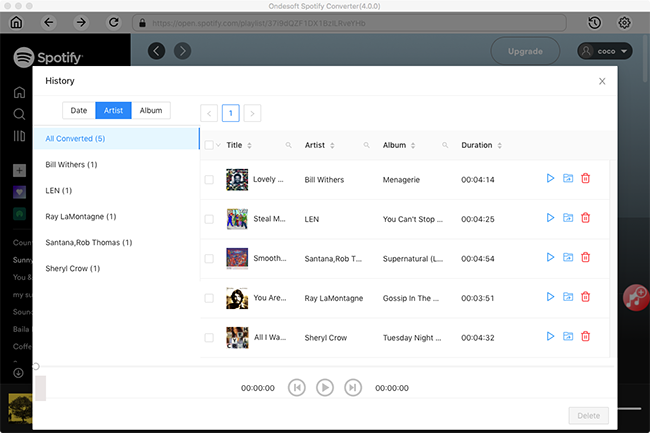 You are able to convert Spotify music to MP3 or WAV by Ondesoft Spotify Converter, then transfer converted Spotify songs to iPod Shuffle. 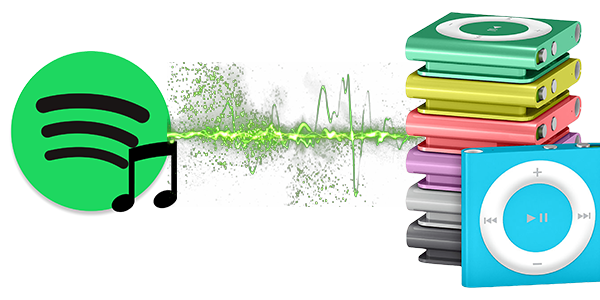 Here we will explain the detailed steps about how to convert Spotify music to iPod Shuffle supported formats and how to sync Spotify music to iPod Shuffle. 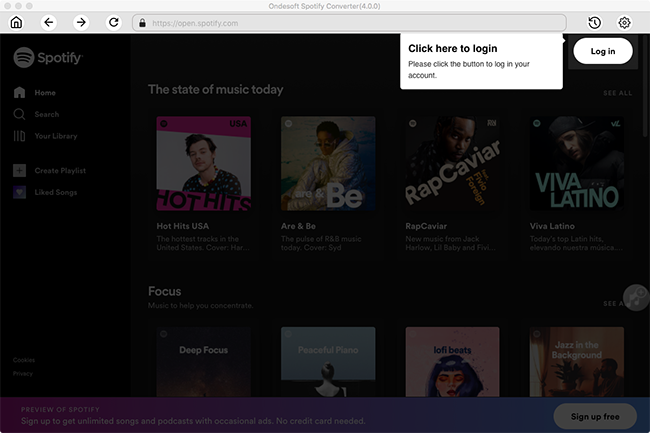 Before we get started, please make sure you have installed Spotify app on your computer. 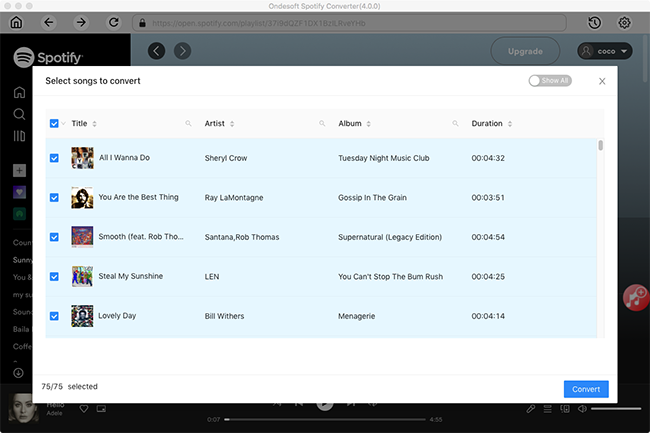 Then download, install Ondesoft Spotify Converter on your computer. 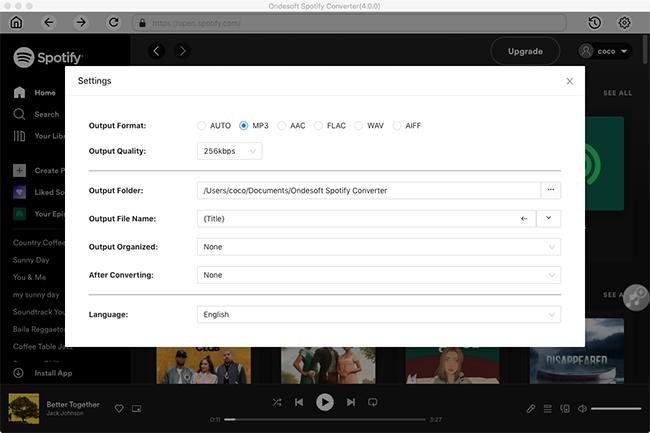 Open Ondesoft Spotify Converter, click the Add Files button on the upper left. 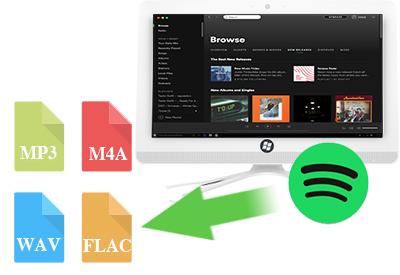 You can simply drag and drop songs, playlists or albums from Spotify app to the program or copy&paste relevant links from Spotify web player to the search box. Click the Add button. Click the Options button to change the output format. You can change it to iPod Shuffle supported format MP3 or WAV. Or customize the bitrate and sample rate as you need. When finish the customization, click the Convert button to start the conversion. After the converting, you can get MP3 or WAV format Spotify music by clicking the History button. 1: Run iTunes on your computer. Click the File menu in iTunes > select Add File to Library or Add Folder to Library to add converted Spotify songs to iTunes Library. 2: Click the View menu in iTunes > select Show Sidebar. Connect your iPod with your computer via a USB cable. When connected, your iPod will appear in DEVICES in the sidebar. 3: Click your iPod in the sidebar. Then click Music tab in the right side window. From here, check Sync Music. Then, you should select converted Spotify songs and click Apply to put all converted Spotify songs to your iPod.